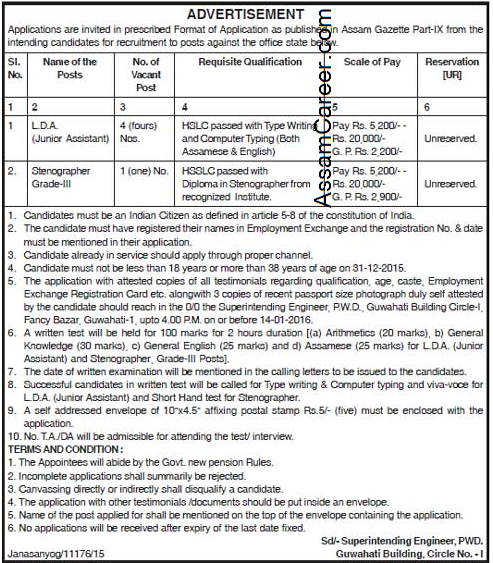 Applications are invited in Standard Form as mentioned in Assam Gazette for filling up of the following posts in the office of Superintending Engineer, PWD, Guwahati Building, Circle No-I. 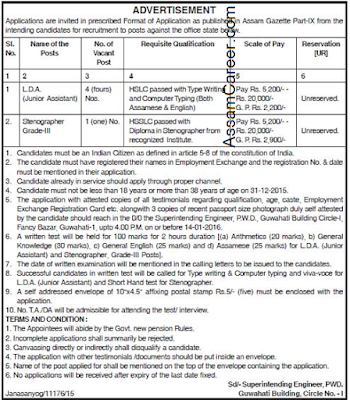 Educational Qualification: HSSLC Passed with Diploma in Stenographer from any govt recognised institute. How to apply: Pl check the following image for more details. Click on the image to have a better view.